We pick up right where we left off: In Part One of this article Gary talked about how he got into the blank building business, his involvement in the graphite blank industry and how G.Loomis was started � on a handshake and the backing from a friend. In Part Two, Gary talks about his days with G.Loomis, the Shimano buyout and what he has in store for North Fork Composites. New Equipment: As mentioned in Part One, Gary knew the quality and durability of his blanks hinged on the equipment the blanks were rolled on. When starting G.Loomis, he set forth to redesign that equipment. Thanks to his close friend, Dennis Highby, at Cabela�s, he was not only able to finish his last piece of equipment but he also hit the ground running with a 280 blank-per-day blanket order from Cabela�s. What most people don�t realize, though, is what Gary's equipment did. �The new equipment design was a six-month ordeal,� Gary said. �I took everything I had learned from my time in the industry and building equipment in my past life as a machinist and used that experience to design the best equipment for manufacturing blanks. �Making blanks requires rolling the graphite material around a steel mandrel using a tremendous amount of pressure. At that time, the industry standard was 40 psi. Rolling the blanks at 40psi results in trapping air bubbles between the graphite cloth and the resin. This caused a lot of blank failures. �The reason for this is as a blank is placed under stress, you have many forces acting upon it at the same time,� he said. �On the bottom of the blank, the material is under compression while the top of the blank, with respect to the bend, it�s under expansion. Not only do you have these forces acting on each other you also have what is known as hoop-stress. �Hoop-stress happens when pressure is put on a cylindrical object, like a tubular blank. If you look at a cross-section of a blank, you�ll notice it�s a circle. When you apply pressure to a blank, this circle wants to become oval in shape and if enough pressure is applied, the blank will collapse on itself. The Sale of G.Loomis to Shimano: During the early 1980s, Gary made blanks for Cabela�s and his own company. But, once word got out about the quality of his blanks, many OEMs across the nation began using his blanks for their products. 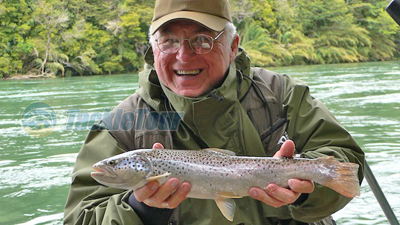 By 1997, Gary had built G.Loomis into one of the most renowned blank and rod manufacturers in the world. Unfortunately, he had been delivered some bad news in 1995 that was about to change his life. �In �95 I was diagnosed with prostate cancer,� he said. �I didn�t believe I had it so I ended up going to the Mayo Clinic so they could prove it to me. They told me I not only had the cancer but it had also leaked out to the surrounding areas - 37 radiation treatments followed. �After the radiation treatments, they implanted 91 radioactive pellets into my prostate gland and then waited to see what the effects would be. My PSA went down but it didn�t take long for it to come back up. That�s when they told me I had 18 months to live. �I knew that if I wanted to leave anything for my family, I better sell the business now. That�s what made up my mind to sell the company in 1997. I had a few offers, some for more money than Shimano's offer, but I sold to Shimano because I had been fishing their reels since the 60s, and felt that the best reel company should own the best rod company. They also guaranteed that there would be no changes to the business for five years. G.Loomis had become a family, and I wanted to make sure all of my employees would still have jobs. �As part of the sale, G.Loomis kept me on as a consultant under a three year contract. They wanted five, but I told them I was unlikely to be around for that long. Turns out, I stayed for over 10 years trying to teach them what G.Loomis was all about. �At first, G.Loomis kept moving on the path, but over time, Shimano had really changed the company we built. I realized that it was putting a lot of strain on me and the people at work were being pulled in two directions. They had a loyalty to me, but their paychecks were coming from Shimano. When I saw that I was pulling them in a different direction, it was clear to me that it was time to leave. Gary Becomes a Conservationist? His ten years at Shimano were not a loss, though. �It was a good ten years, though, because it gave me a lot of time to work on recovering the salmon. I had a lot of love for those fish, which I hadn't shown to them � unless you count an introduction to the dinner plate as love � and I felt it was my time to give back to them. I and five fishermen buds started an organization called Fish First in 1995 (www.fishfirst.org) that was trying to bring back a run of fish to Cedar Creek, a tributary of the North Fork of the Lewis River. �We went to work, for ten years and by 2005, that run of 32 fish became 16,250 fish. The Coho had returned. Gary isn't content with 10,000 members, though. He wants to turn CCA Washington and CCA Oregon in to an organization with enough power to save salmon and steelhead from destructive harvest methods. To do that, he says he needs 50,000 members. In talking to him, there�s no doubt he can make it happen. A New Start: �I left G.Loomis and got involved with a fly and fishing lure company that I was part owner of,� Gary said. �The lures would have been endorsed by me. This upset Shimano, who believed they�d bought my name and they threatened to sue me over the use of my name. �What happened next is probably the subject of a different article, and I'm not ready to tell the story in detail, but in short, Shimano sued me. I racked up $300,000 in legal bills, I was outspent by Shimano, and we settled under terms I can live with. Good thing too, because after I left G.Loomis I had hundreds of people calling me to get back into the fishing business. So, I felt to help out the industry that made me who I am, the best thing to do was make blanks for custom rod builders again. Beating Cancer: When you're given 18 months to live, you tend to make them count by doing things you love. For Gary and his wife Susie, that means hunting as well as fishing. They booked a trip to Africa. What happened there is not only astonishing but may be the reason he is still designing the world�s best blanks. �I wanted to go to Africa to hunt on my birthday so we went to a camp in Zambia, five days from anywhere,� he said. �When we got there, my buddy wanted to get me a birthday present. So, one night when we got back to camp there were all these people including a witch doctor, his interns and a missionary. They all started chanting and playing drums. The witch doctor went into a trance and turned to the missionary and said something. The missionary asked me if it was okay for the witch doctor to put his hands on me. They ask this because of the AIDS epidemic. I said, �heck yes, AIDS might give me five years more to live where the doctor gave me only 18 months.� The whole experience was just like an old National Geographic article.